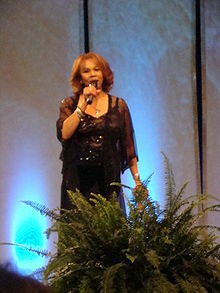 R&B Diva and Gospel Singer Candi Staton is best known for her chart toppers “Young Hearts Run Free”, “Victim”, “Stand By Your Man”,”When You Wake Up Tomorrow” and “Suspicious Minds”. Candi was born in Hanceville Alabama, March 13, 1940. In her early years she and her sister Maggie attended Jewell Christian Academy in Tennessee. They teamed up with another talented student named Naomi to form the Jewell Gospel Trio. They toured the gospel circuit in the 50’s with such Gospel greats as CL Franklin and Mahalia Jackson. The group recorded several records for Nashbro, Apollo and Savoy Records between 1953 & 1963. The First Lady of Southern Soul career took off; when she was nominated for her R&B rendition of Tammy Wynette’s “Stand By Your Man” in 1968. In 1972, Candi appeared on Soul Train and many of her R&B disco songs reached Top 10 in the US chart Toppers and Top 20 in the UK. Today, Candi Staton continues to remain active in performing concerts all over the world. Candi will be performing June 2016 in Dublin Ireland and the UK. R&B SOULFUL FEELING @ BB KING BLUES CLUB AND GRILL !